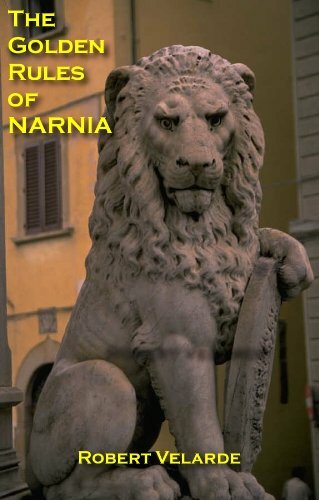 With the upcoming release of the film The Chronicles of Narnia: Prince Caspian on May 16, I've been giving some thought to the book it is based on. First published in 1951, Prince Caspian by C.S. Lewis is in some respects quite different from The Lion, the Witch and the Wardrobe, the first published book in the seven-volume Chronicles of Narnia. For instance, there are not nearly as many overt parallels to Christianity in Prince Caspian. Thinking about Prince Caspian brought to mind the stories of Robin Hood. Like Robin Hood, Caspian is accustomed to his creature comforts until an unfair series of events reverses his fortunes. Now an outcast, Caspian must struggle to overcome incredibly unfavorable odds and do his best to restore justice. Caspian's primary nemesis is his uncle, Miraz, who has usurped the throne of Narnia by having his brother, Caspian's father, murdered. Robin Hood's primary nemesis is the Sheriff of Nottingham, though he is an extension of Prince John who has, in all practicality, usurped the throne from King Richard, who is away on a Crusade. Like Robin Hood, Caspian leads a small but determined band of followers, and both hide in the woods. Caspian becomes a hero, but that is not what he sets out to become (neither did Robin Hood). Both are also men of character, though Robin Hood is perhaps a bit too prideful for Lewis's moral tastes. Caspian, on the contrary, is humble. Aslan's presence, too, is different from Robin Hood stories. To be sure, Robin Hood has Christian underpinnings, but while God and Christ are referred to, they do not make their presence directly known in the same sense that Aslan the lion, a Christ figure, does in Prince Caspian. However, some may infer parallels between Aslan and King Richard, who returns in disguise in the Robin Hood stories, only to reveal himself at an opportune moment. At any rate, one might say that faith in Aslan is a key theme of Caspian, demonstrated primarily by Lucy's story line. In Mere Christianity, Lewis wrote, "Enemy-occupied territory--that is what this world is. Christianity is the story of how the rightful king has landed, you might say landed in disguise, and is calling us all to take part in a great campaign of sabotage." That's also an adequate description of Prince Caspian and, to a certain extent, the stories of Robin Hood, not to mention The Lord of the Rings. Did Lewis intentionally weave Robin Hood-like themes into Prince Caspian? I doubt it. But Lewis was certainly knowledgeable of the stories. In fact, his friend Roger Lancelyn Green wrote one of the best books on the subject that I have read: The Adventures of Robin Hood. Now I need to make some Venn diagrams comparing Prince Caspian and Robin Hood. Don't you just love Venn diagrams?